We are often asked by our clients if we can use Google Shopping or paid search to push particular products or product groups. There are a number of reasons why they might want to do this. They might have high stock levels of a particular product; some ranges might be out of date, and they wish to sell off remaining stock; or perhaps a product is not selling as well as they had hoped, and they wish to boost the sales. On the face of it, Google Shopping seems like a good platform for this task. Advertisers can pay more to increase the exposure of a particular product, rather than bid on keywords alone (as is the case with standard text ads). Hence, advertisers often believe Google Shopping is the ideal means to proactively manage inventory and stock levels. However, behind this approach is the assumption that there is a direct relationship between what consumers search for and what they end up buying. So let’s take a closer look at the data to see how consumers actually behave. Do consumers always buy what they search for? For a deeper insight into what is actually going on in Google Shopping, we analyzed a dataset of more than 15K Google Shopping conversions across the German, UK and US markets covering several international retailers from the fashion, sports, outdoor and luxury sectors. We looked at search queries, clicked product ads and products purchased. Surprisingly, the vast proportion of consumers don’t buy the products they search for (and click on). 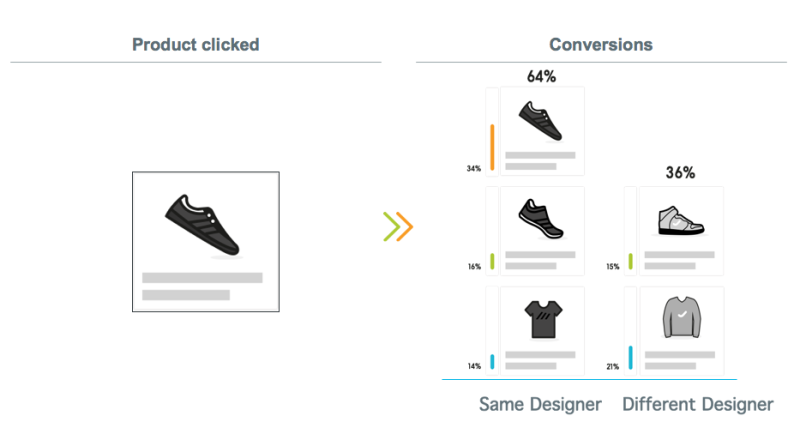 Only 34 percent (of conversions) bought the product that was clicked. Thirty percent bought a product by the same designer, but from a different product category. Thirty-six percent bought a product from a completely different designer. If people don’t generally buy what they are looking for, then how can you accurately manage inventory via Google Shopping? The performance of advertising campaigns is usually measured by taking into account the value of the products sold and attributed to the campaign. 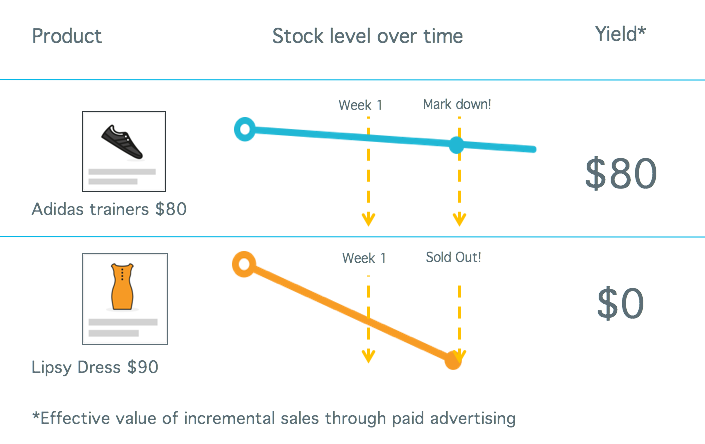 More sophisticated advertisers go beyond product revenue and margins and incorporate customer lifetime values (CLV) in order to estimate the long-term contribution of their marketing investments. Generally speaking, any good performance measurement system should measure the true value of advertising campaigns as accurately as possible. There is one key aspect, however, which the industry is missing today: Some products (the slow sellers) need advertising pressure to be sold, while others (the top sellers) fly off the shelves, causing the retailer to run out of stock very quickly. Promoting the top sellers via Google Shopping or any kind of paid advertising will generate a lot of revenue and margin with little budget. In any performance measurement system (I have seen), whether it’s Google Analytics or one of the leading attribution systems, performance will look great. The truth, however, is that the real value contribution is close to zero in this case. This means that unless you never (or very rarely) have either an excess or shortage of stock, common tracking, analytics or attribution solutions which rely on revenues or margins of the products sold via advertising fail to reflect the real impact of your advertising campaigns. To measure the real effect of advertising more accurately, we need a new metric that indicates to what extent advertising was required to sell certain products. Let’s call this metric Yield. 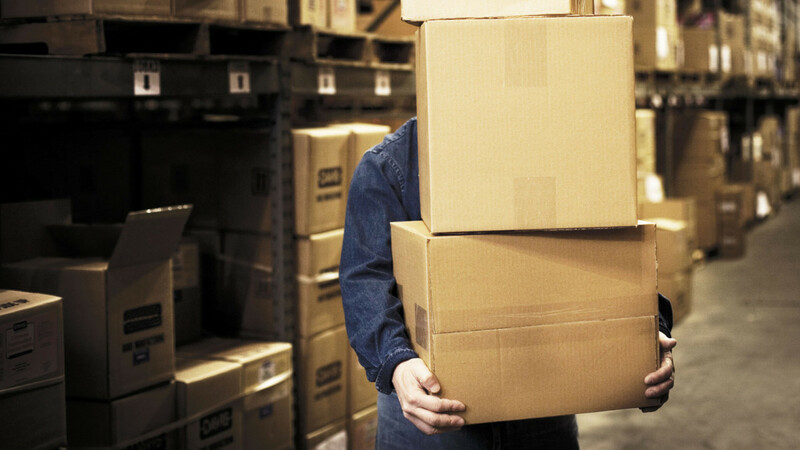 In order to calculate Yield value, retailers have to take into account stock levels and the sales rate of their SKUs. In addition, they need to know whether they can easily reorder certain SKUs or if they will run out of stock at some point. Lipsy dress: This dress is selling on its own and cannot be reordered. Although ROI might be very high, it doesn’t make sense to invest in advertising for this product. The yield value of selling the Lipsy dress is zero because Shopping does not contribute incremental sales. Adidas trainers: This item has a high stock and a slow sales rate. This product needs advertising pressure. The purchase price of the Adidas trainers has been paid by the retailer already. As the retailer cannot sell all the Adidas trainers they stock, they represent sunk cost. If this is the case, the yield value for the retailer equals the net sales price of the product, which is $80 in this example. Some smart advertisers have started using “yield values” in bid management instead of relying on traditional metrics like revenue or product margins. The example below shows what data bid management systems normally take into account. 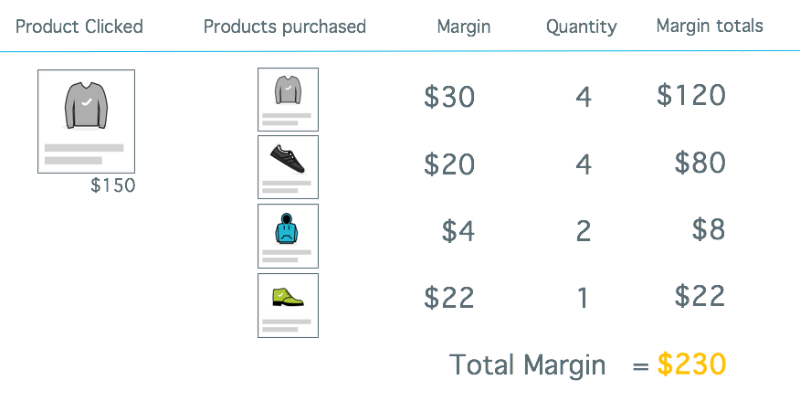 To compute a bid for a product ad, the system tracks all actual sales and the related margins after a click on an advertisement happened. The total margin generated by a product ad is then divided by the number of clicks on the product ads in order to calculate an earning per click (EPC). If 100 people clicked on the ad in the example, and the margin total was $230, the EPC would be $2.30. Now, let’s say the retailer has consulted their internal system, which shows the current stock level vs. the current rate of sale, and discovered that at the current sale rate they will fail to sell enough of the Adidas black trainers. The remaining stock will need to be marked down or destroyed in order to make way for the new season’s products. Sales of the black trainers are now worth more to the retailer than the basic margin, as there would be further losses if the retailer had to mark down or destroy the stock. With this information, the retailer can estimate the yield value of the products. 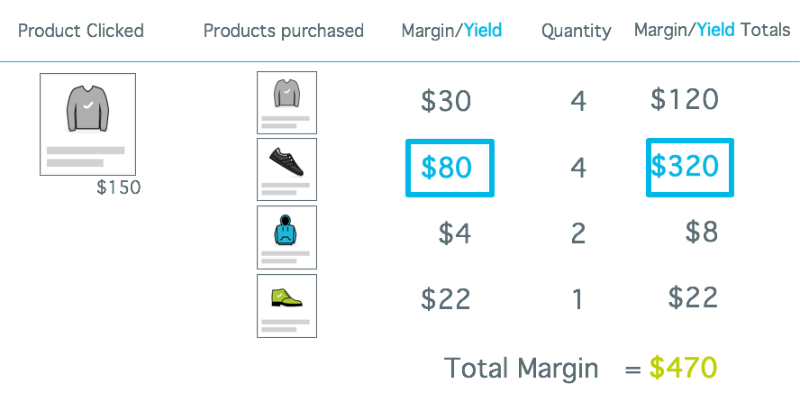 As a result, the black trainers have a yield value which is much higher than the margin of the product. Hence, by using yield values in bid management, the EPC more than doubles in this case. The new, higher EPC will lead the retailer to bid higher bids, thus increasing sales of the products they want to push. Retailers that have the data available and are able to draw burn-down charts for their SKUs should be able to estimate yield values. If they feed these values into their bid management tool, they can not only get more transparency about the true value contribution of their campaigns, but they can also do a much better job of managing inventory and stock levels. In summary, by drilling into the conversion data on what products are actually driving sales and by assigning a value of the item sold to the business (yield), a more accurate bid value can be calculated. The above formula allows advertisers to cast the net wide enough to promote the right products, with an end goal of selling a specific item while still maintaining bidding efficiency. Andreas Reiffen is an entrepreneur, marketing technologist and an expert in data-driven advertising. Between 2006 and 2008 Andreas operated as a PPC super affiliate working for Zappos and other retailers. In 2008 he founded crealytics, the Berlin-based provider of camato, the leading PPC campaign management technology for search ads and Google Shopping. Crealytics has grown to service several of the largest international online retailers in 23 languages, generating over $750M in client revenue in 2014. This growth was recognized with a 3rd place finish in the 2014 Deloitte Technology Fast 50. Tags:Channel: SEMconsumer behaviorGooglegoogle adsGoogle shoppingGoogle Shopping AdsGoogle: AdWordsGoogle: AdWords: Product Listing AdsGoogle: Google Shoppingonline retailPaid Search ColumnPPCppc behaviourproduct adsretail advertisingretail buyer behaviourretail ppcSearch AdsSearch Ads: Product AdsSearch MarketingSearch Marketing: Shopping Search MarketingStatsStats: Search Behavior.